This bag has a flap to close the top so items don’t spill out if you drop it or if it tips over somehow. When I received it, I thought it was small, and wouldn’t work, but it worked perfectly! The bag is quite deep, 7 inches, so there is quite a bit of room. The bag is insulated so if you put a freezer cooler in the bag it will keep your food cool that needs to stay cool. I love the red and white stripes, it’s festive and distinguishes it as mine, I can’t see my husband nor son grabbing it. I did receive this bag at a discount. Receiving a discount in no way makes it mandatory for me to leave an opinion, I do so on my own accord. 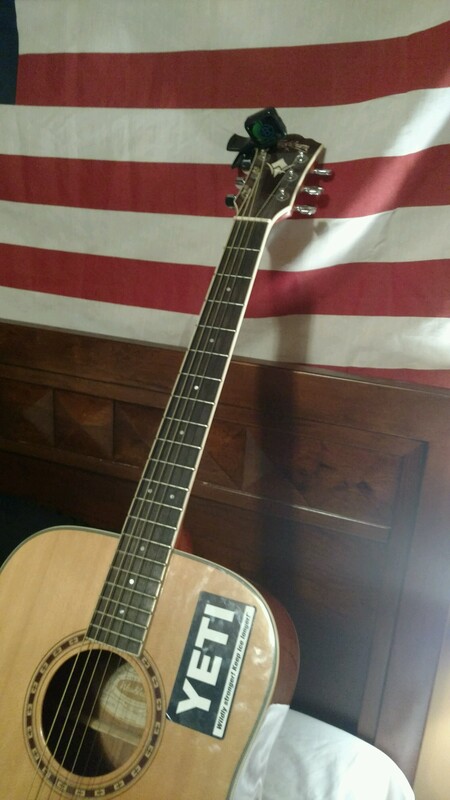 If you are interested in checking this item out, click this link and enjoy! 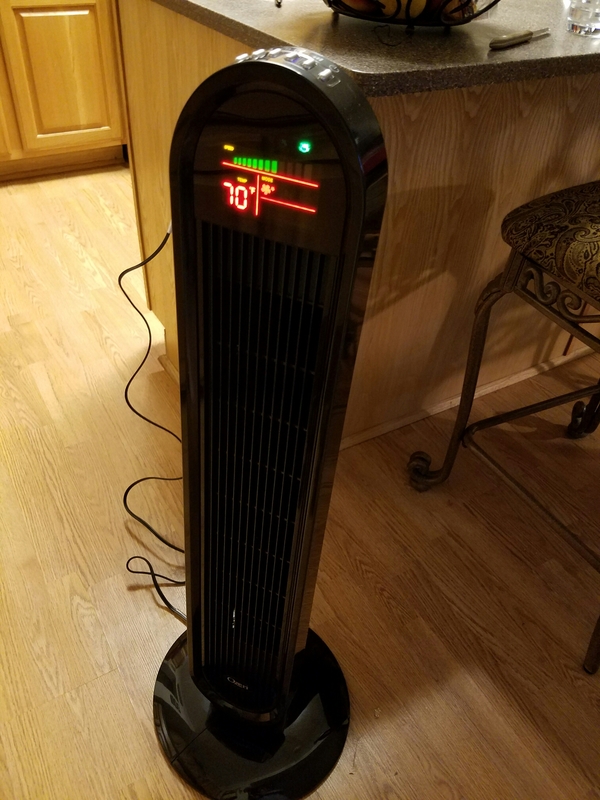 Ok so I got this tower fan to give it a try and I’m extremely impressed, and that’s saying alot. 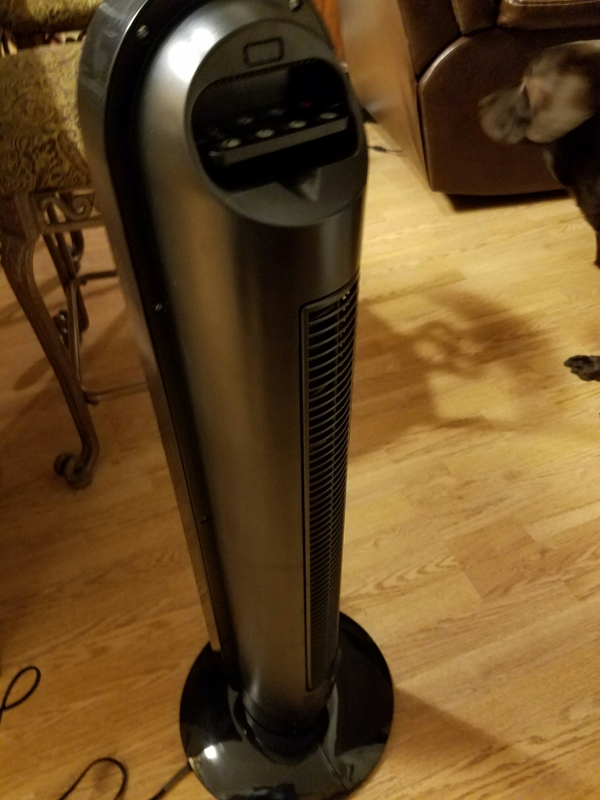 This fan is 38″ high, weighs 9 lbs, and oscillates at 60, 90, 120 and 360°. 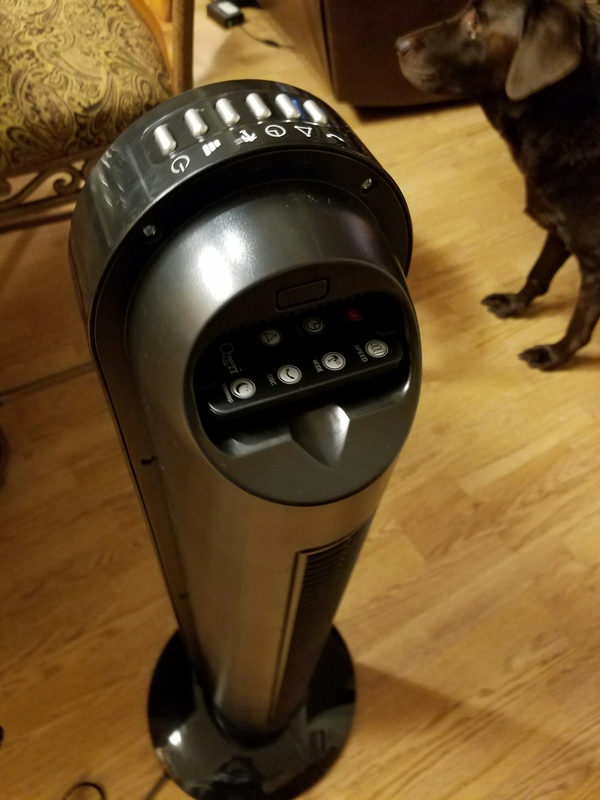 I’ve honestly never seen a 360° fan. 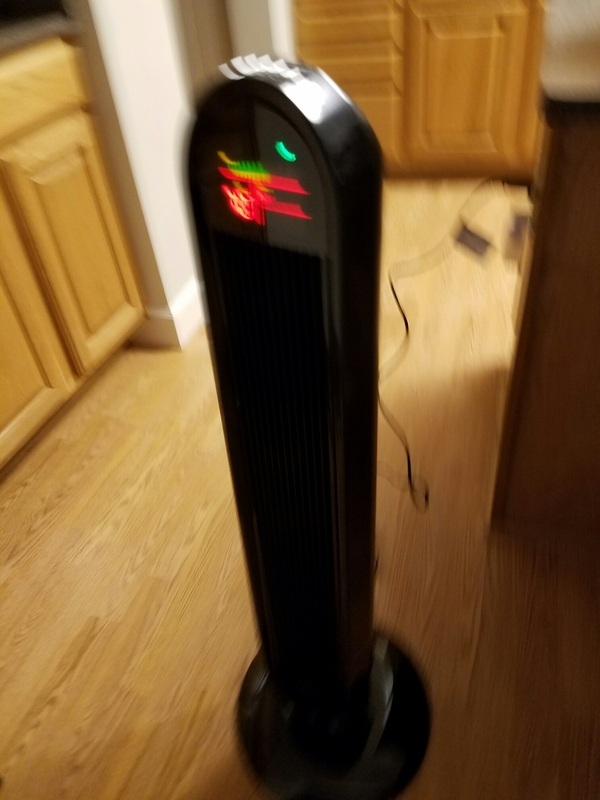 This fan is equipped with a fuse, so easy to fix when it blows. This fan comes with a remote control and uses a CR2032 battery which comes with the package. The controls are easy to see and easy to read on the panel on the top. You can also dim the panel if you have it running at night and don’t want the light. Amazing Fan! A definite buy that you wouldn’t regret. DISCLAIMER: I received this product free for my honest and unbiased opinion. I’m not obligated to give a review. I do so on my own accord. 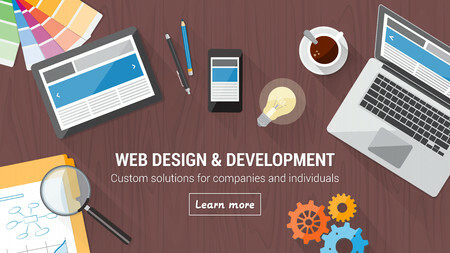 There are many places to purchase this and all prices are completely comparable to another. 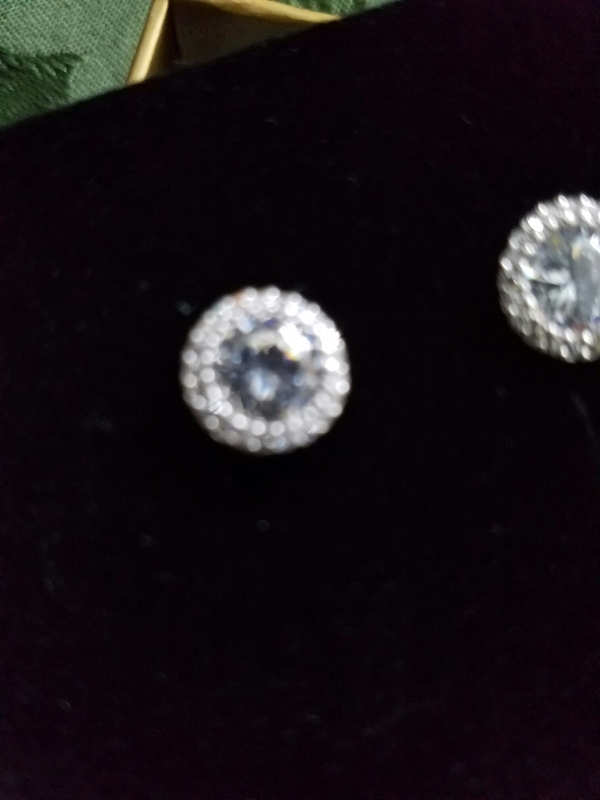 There earrings are beautiful! Simple and elegant, yet has enough “bling” to make it perfect for dressy occasions or not so dressy attire. 0.31×0.47 in diameter, lightweight and they come in a perfect little gift box and an extra set of safety backings. These only weigh 1.47 oz. 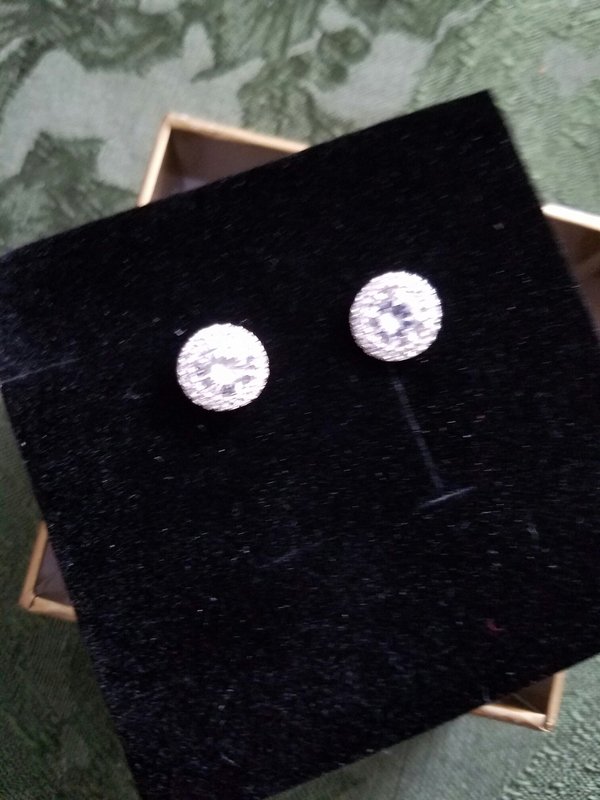 These earrings are nickel free, made of brass, and clear AAA Cubic Zirconia. 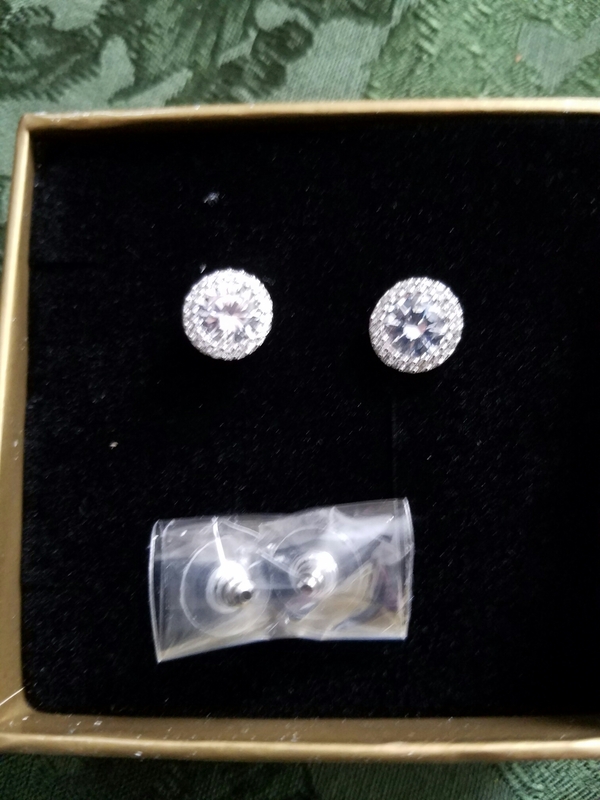 These earrings are a perfect gift for anyone in your life, just to say Thank you, I Love You, Great Job, Congratulations or anytime you might need a nice gift for anyone. DISCLAIMER: I received this product free. I am under no obligation to give an opinion on this product for my opinion, I do so on my own accord. 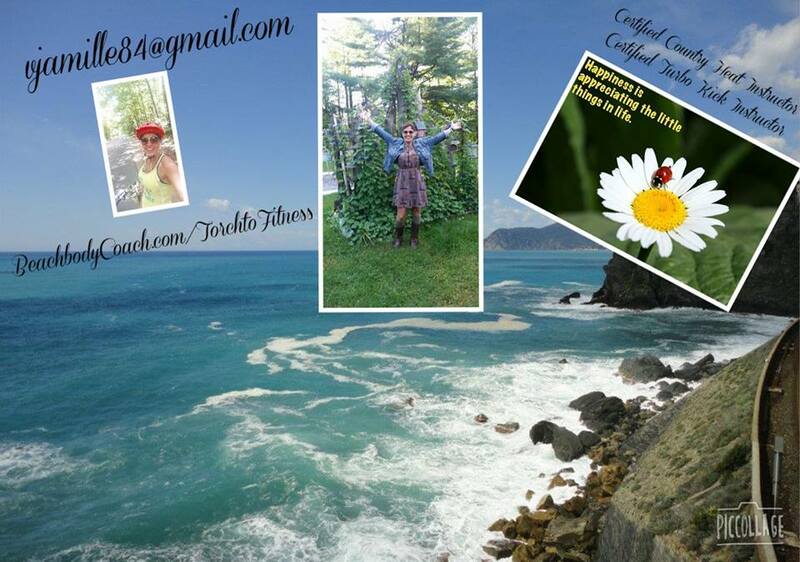 If you’re interested in checking out the product, follow this link and enjoy! These Artisan double wall 8 oz beverage glasses are amazing! The glasses are perfect size and have cosmetic indents in them for design and are mouth blown dimples, for easier handling. This set was originally a gift for someone, but I liked them so much, I kept them myself. The double insulation keeps your cold beverage cold longer and hot beverages warm longer. Made of heavy duty resin plastic so they will last longer then your average plastic cups, these cups are microwave and freezer safe, but I wouldn’t recommend the dishwasher very often. DISCLAIMER: I did receive these glasses for free. Getting them free in no way obligates me to leave an opinion or review. I do so on my own accord. 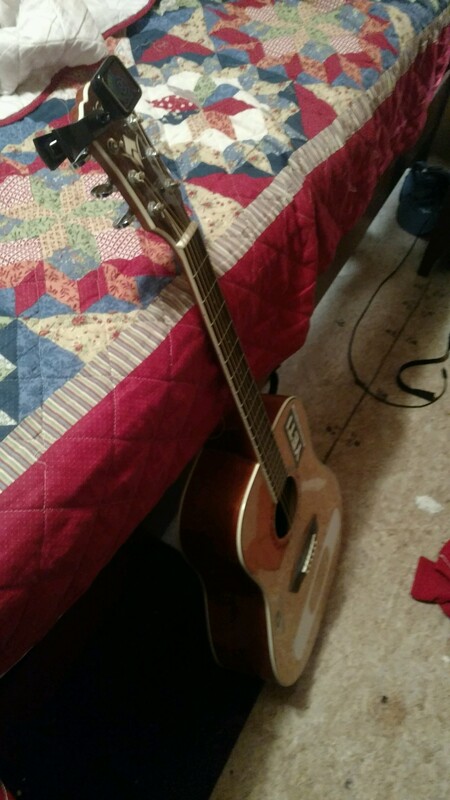 My son plays guitar and pretty much taught himself, and does pretty well. 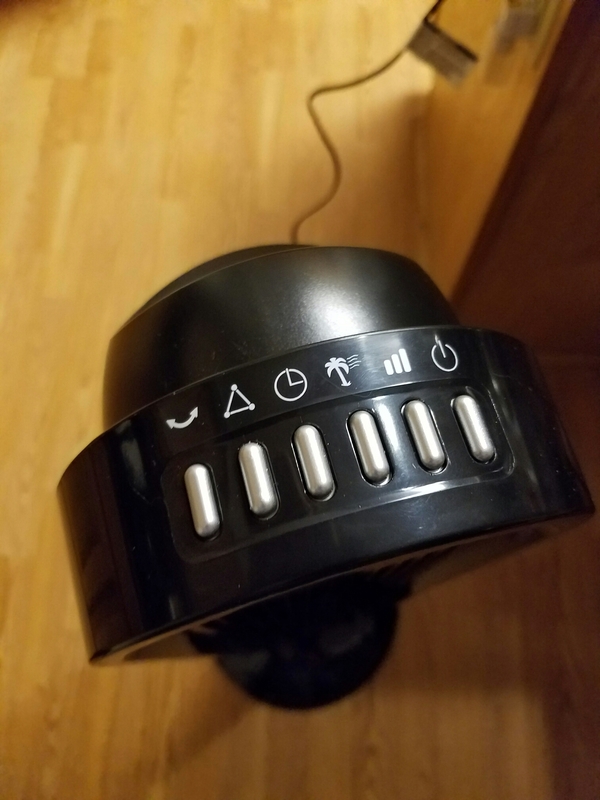 I got this tuner hoping it would work better then the one we bought for him before. It truly does. This Kliq Uber Tuner has a highly sensitive piezo tuner and algorithm so the guitar actually tunes very quickly. The display is super bright and according to my son, he loves that, he said it’s easy to see and read at any angle. He normally doesn’t get impressed with things, but he really does like this. 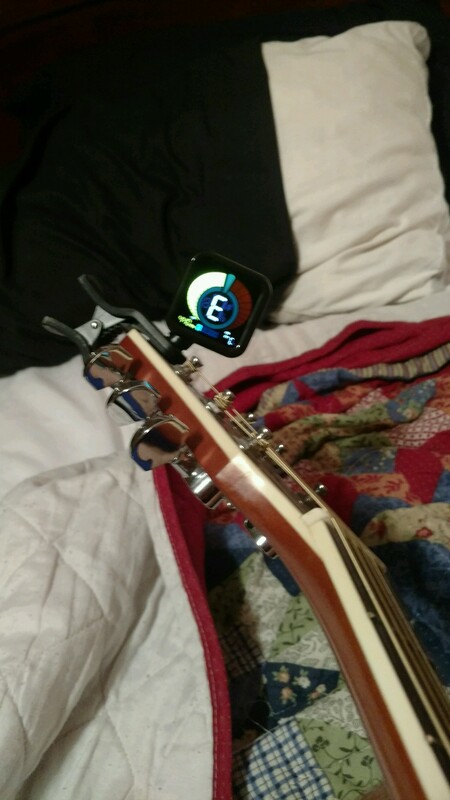 This tuner allows for background noise to not interfere with the tuning of the guitar. This Kliq works on strings as well as brass and fluted instruments . VERY versatile instrument for a minimal price. 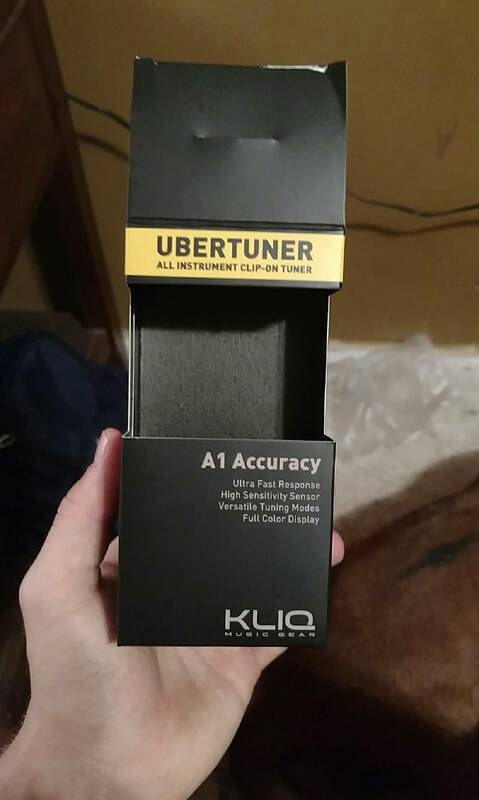 I received this tuner at a discount. I am under no obligation to give an opinion on this product. I do so on my own accord. This is a very well built tuner and definately worth checking out. Just grab the link below and enjoy!